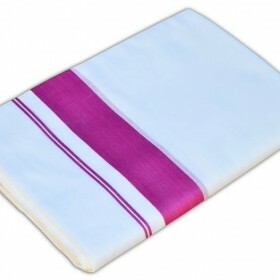 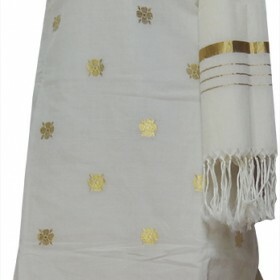 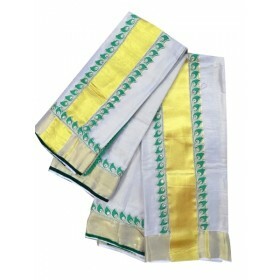 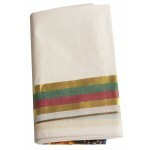 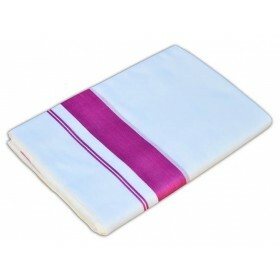 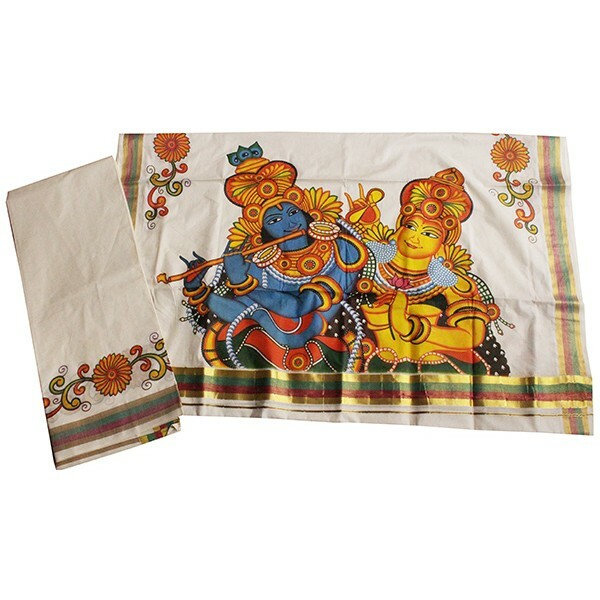 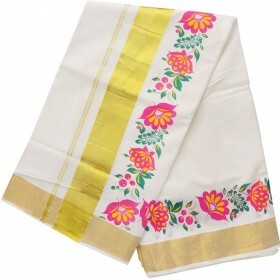 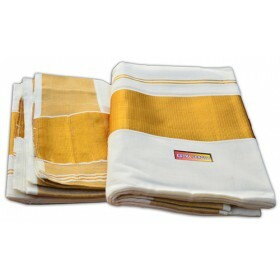 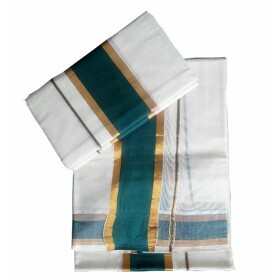 Kerala Traditional Kasavu mundu with Radhakrishna mural print design is most familiar in the market. 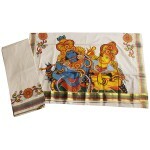 Here we introduce the radhakrishna mural print kasavu mundu. 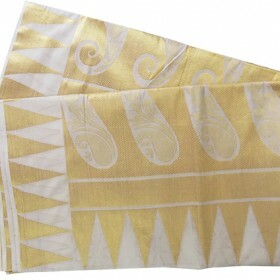 Off white saree having the mural work is looks very elegant. 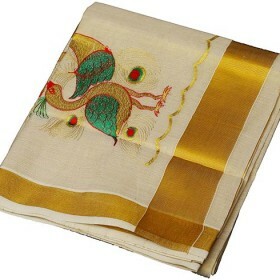 And the main attraction is on the border also having the simple mural work.